These products are made by hoop with turning operations. 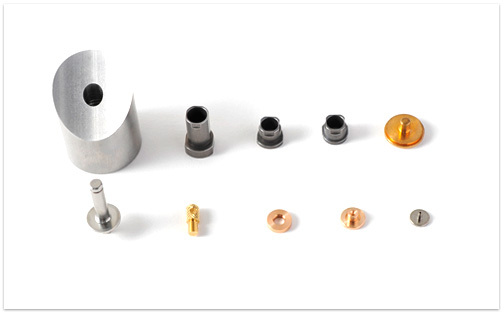 Since collet chucks are installed in the turning lathes, the products are free from scars. ※ Click on some of the pictures for more details. 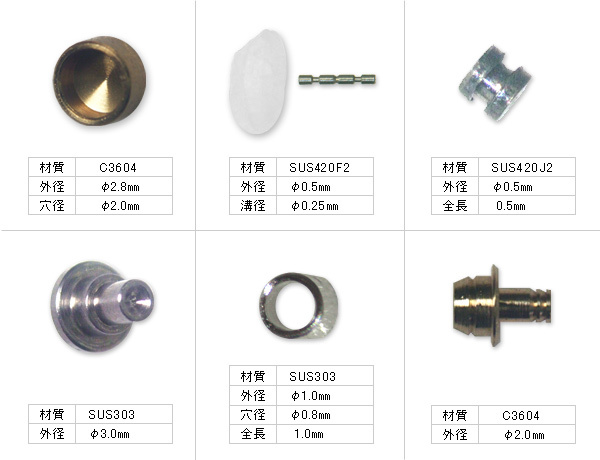 Stainless steel (SUS420F2, SUS420J2, SUS303, SUS430F, SUS416, etc. 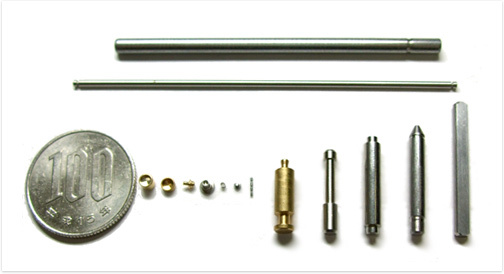 ), brass, free-cutting steel (SUM), etc. Processing other diameter materials are negotiable. 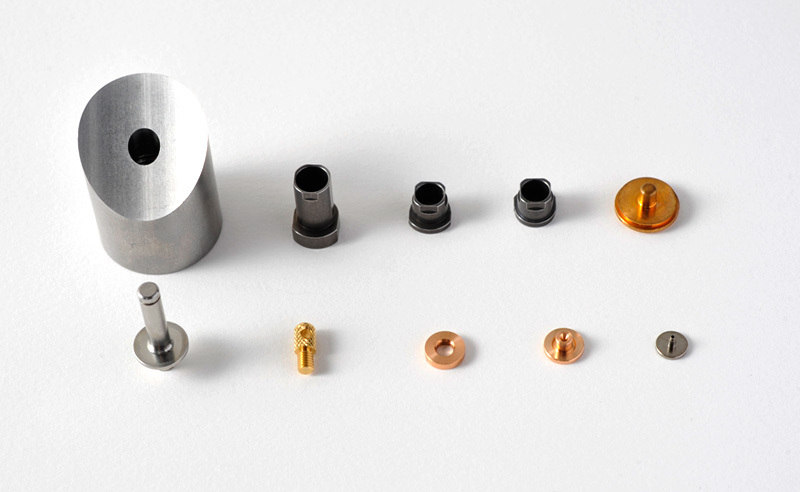 We expert at small diameter parts with φ20 or smaller, using 16 Citizen's NC lathes. Our metalworking materials include stainless, copper, (general) steel, free-cutting steel, and brass. Our quality management activity concentrates on improving quality assurance technology. Clarifying all procedures including processing steps and methodology of product management, we assure to supply our high quality products.